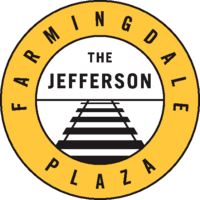 Experience only the best when you rent a luxury apartment at The Jefferson at Farmingdale Plaza. Beyond the controlled-access gate, you may never want to leave. Enter your home via electronic key and discover nine-foot ceilings and designer lighting complemented by two-tone paint. Certain to become your favorite room, your artisan kitchen gleams with stainless steel appliances and granite counters. Step outside to enjoy a movie theater, resort-inspired pool and net café. We are a pet-friendly community. There is a $400 one-time pet fee, and a pet rent of $50 per month. Aggressive breeds are prohibited. There is a weight limit of 75 pounds per pet. Please call for complete pet policy information.